Got Vegan Chili Game? OK, Then! Vegan Chili Madness Unleashed: Sat. at 6:30 pm, 106 S. Division, Grand Rapids! The sixth annual Wake Up Weekend Vegan Chili Cook-off is right around the corner. So bring it. Your best, most creative, most beautiful vegan chili. We’ve removed all barriers to entry. No fees! No cost to attend! A chance to put your best chili chops on some of the most discriminating palates in the world–people like, I don’t know…Bryant Terry? – Give us a heads-up (if you can–we get that sometimes the mood strikes late) at wakeupweekend@gmail.com. 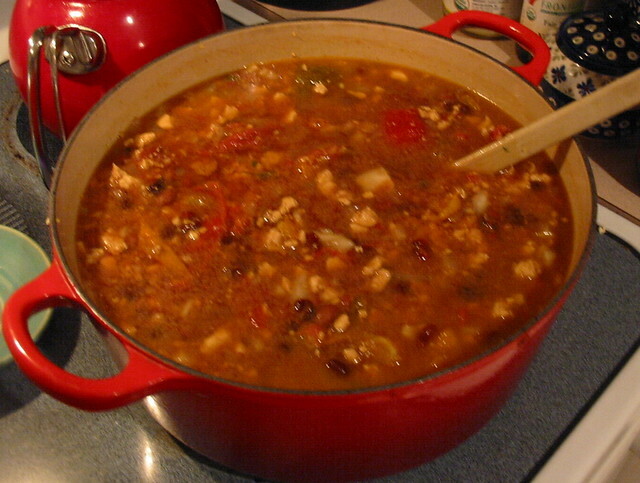 – Bring enough vegan chili to serve 8-10 hungry adults. We recommend a crock pot or some other contraption that will enable you to KEEP IT HOT! Not taking the vegan chili challenge? That’s okay. We need you anyway! 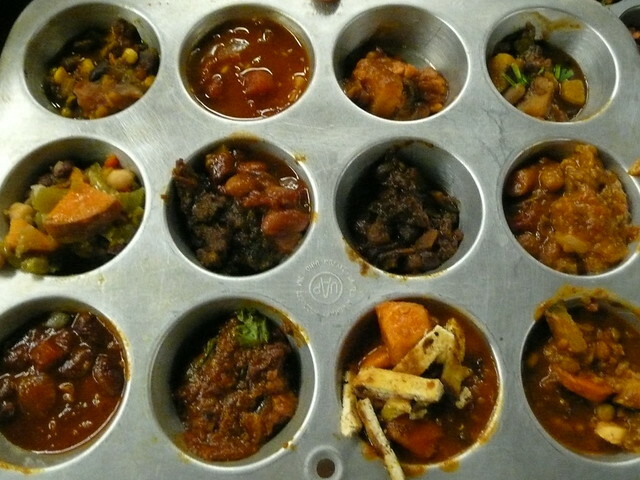 – Bring a muffin tin to make your tasting duties A SNAP! – No muffin tin? Just bring a fork and spoon (or maybe one of those messed-up sporks) – we’ll provide taster bowls. – Bring your own beverage*–some for you, some to share: water, almond milk, juice, kombucha–you know, something to drink. * Please note: This event is all-ages and 106 is an alcohol-free zone. Please make sure your beverage of choice is venue suitable. Thanks! Sorry muffins. These tins are full up.